John Payne Jennings (British, ?-1926) was active c1870s-1880s; affiliated with the Photographic Society of Great Britain. The Autotype Co. exhibited prints from original negatives by Jennings in the 1882 Photographic Society of Great Britain exhibition. In 1883 The Platinotype Company also exhibited prints by Jennings. His work is in the collections of many institutions, worldwide. 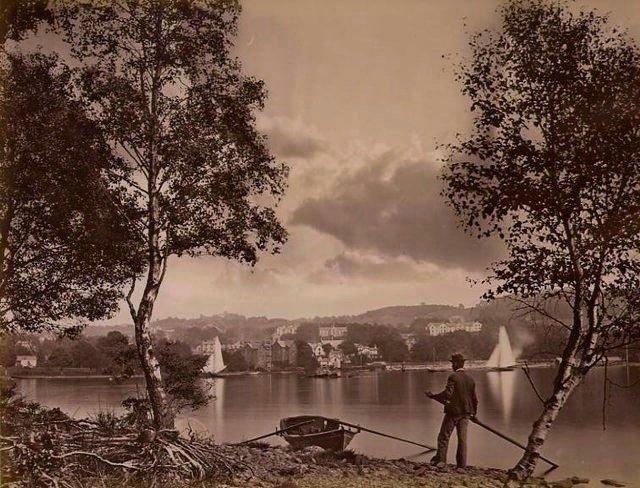 Items Similar To "Payne Jennings "Bowness, Lake Windemere""